The Perpetual School of Nursing Assistant is committed to the personal and professional development of its students. We implement programs and courses that are relevant to the modern demands of the healthcare community today. It is our aim to produce professionals out of every program and to instill a commitment to practice for all our graduates who will bear the name of Perpetual School of Nursing Assistant in their future careers. 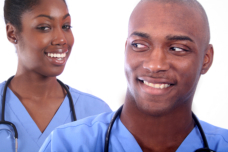 Certified Nursing Assistants, Geriatric Nursing Assistants and Home Health Aides. To ask about our courses and training schedules, please call (301) 434-8636.